Within B2B marketing, the role of content during the customer journey is clear. Self directed business buyers are pulling themselves through most of the sales journey before ever contacting sales. How are they doing it? With content. While content continues to drive customer attraction, engagement and conversion, buyers have become numb to brand messages and advertising, going so far as to install ad blocking software at an increasing rate. Information overload and distrust of push marketing has buyers relying on peers, experts and industry influencers more than ever. When B2B brands collaborate on content with credible outside voices that have active networks, it results in information with greater relevance, credibility and reach. The connection between influence and content is very strong amongst enterprise marketers we surveyed. According to the study, 80% of marketers cited the biggest impact from working with influencers as content marketing. 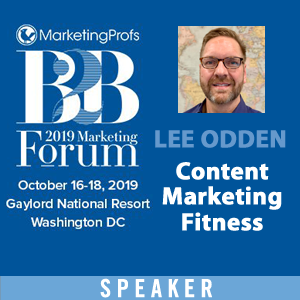 With the demand and usefulness of content marketing within B2B, there is tremendous opportunity for B2B marketers to improve their ability to integrate influence more strategically. 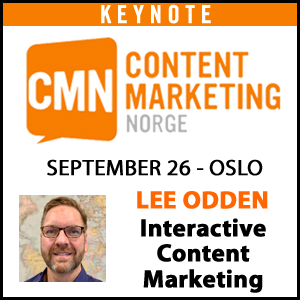 Customer centricity is essential for effective B2B content marketing and working with industry influencers to co-create content adds a customer voice and authenticity that many marketers miss. 1. Working with famous and friends, not influential people. Social network size and self appointed influencer status does not equal the ability to affect a change of thinking or inspire action amongst buyers. Many B2B marketers are swayed by brandividuals into thinking that popularity alone will move the needle on buying cycle marketing metrics. Awareness is great, but without engagement and conversion as well, what is the point? 2. Viewing influencers as advertising. 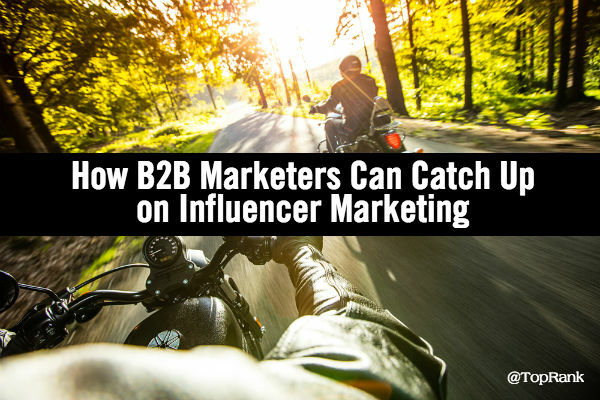 People understand new things in terms of what they already know and this is no different in how many B2B marketers approach working with influencers. Advertising is a familiar model and B2B marketers that expect influencer collaboration to produce the same performance at the same consistency as an advertising channel, will inevitably be disappointed. 3. Short term, commoditized, disconnected collaboration. 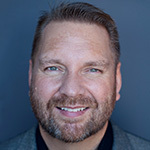 The most significant disconnect of all is the “one off” approach where marketers engage influencers at random without any effort to maintain a relationship or understand what the influencer wants out of the the collaboration. Short form content is easier for influencers to contribute and serves as a nice appetizer for the brand community in advance of more substantial collaborations. Pull quotes, tips and social message-length comments are also great moments of opportunity to establish influencer relationships and to maintain positive interactions in between larger projects. Strategically planned, implemented and connected influencer content campaigns provide participating influencers an opportunity to make more substantial contributions of their expertise and thought leadership to the shared brand and influencer community. 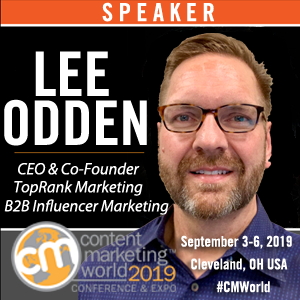 The key to influencer content campaigns is that there is a guiding narrative and directive for relationship growth that provides direction for continued and evolved influencer engagement, not one-off or stand alone projects with only short term goals. A dedicated group of influencers as part of a brand VIP program provides advocates and industry experts a platform for collaboration in a variety of ways. A more formal engagement with influencers helps identify their affinity for shared values with the brand as well as what the common interests and goals of their mutual communities. Many B2B marketers still experimenting with influencer marketing may touch on these three engagement scenarios, but are not often implementing strategically or long term. To do so, requires both a strategy and technology. 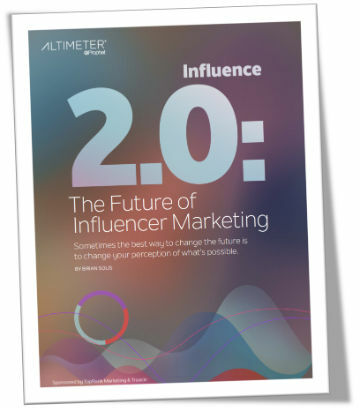 In the Influence 2.0 report, 71% of enterprise marketers view their influencer marketing as strategic or highly strategic and yet, only 24% of overall marketers are running ongoing influencer programs allocating just 10% of overall marketing budget. The awareness of a bigger picture view and integration exists with most enterprise level marketers, they just need to invest in a strategy and resources, including technology, so they can realize the benefits of an approach that is long term and scaleable. What is the Future of Influence for Enterprise organizations? 57% of marketers in our study say influencer marketing will be integrated in all marketing activities in the next 3 years compared to only 5% claiming full integration today. As more B2B marketers evolve from influencer marketing experimentation to a more strategic approach that emphasizes relationships, common goals and the ability to manage and scale with technology, the more they will realize the benefits of integration across all marketing functions. 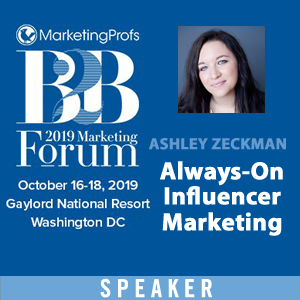 Of course you can get help with influencer content strategies from the some of the best in the business at TopRank Marketing. A version of this article originally appeared on the LinkedIn Marketing Solutions Blog. Ann’s comments on customer centric v’s corporate centric make a lot of sense. The shift from corporate to customer sounds simple enough but the transition goes deeper than that for many B2B firms. Shifting culture to ensure the customer is at the heart of all conversations allows for influencer marketing to make sense and have an impact but it can be a real slog without it. This means that B2B needs to learn or at least implement some services related to influencer marketing then. It is the new trend in SEO and marketing and will continue to be the accepted whitehat marketing that will rank websites in the years to come.